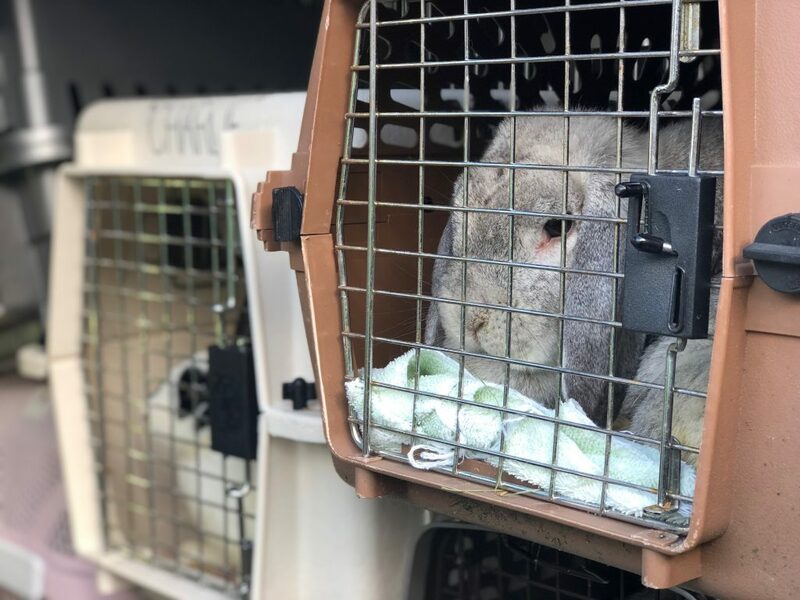 Kitsap Humane Society has admitted more than 200 of the estimated 300 rabbits coming to the shelter as part of an unprecedented rescue from an overcrowded home in Poulsbo. Most of the bunnies are in good health and are remarkably social and adoptable. 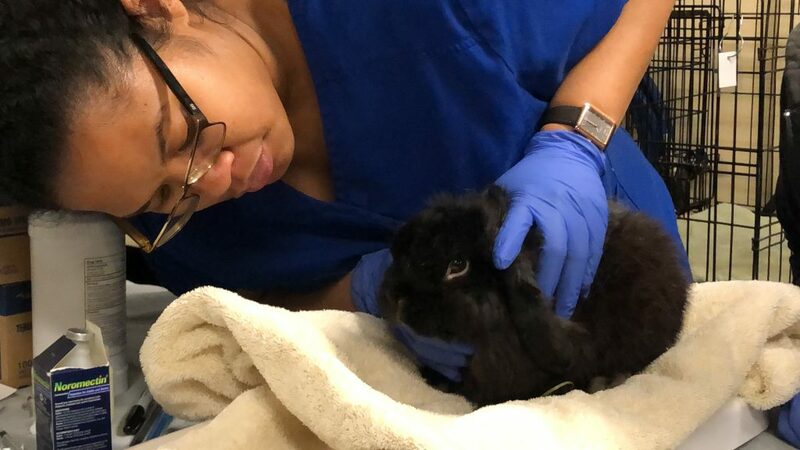 About 45 of bunnies admitted so far require specialized veterinary care, such as nursing newborns and their mothers, newborns who need to be bottle-fed around the clock, and bunnies needing treatment due to injuries, urine burns, and other ailments. KHS Animal Control Officers were called to the home by law enforcement officers doing a welfare check at the residence. 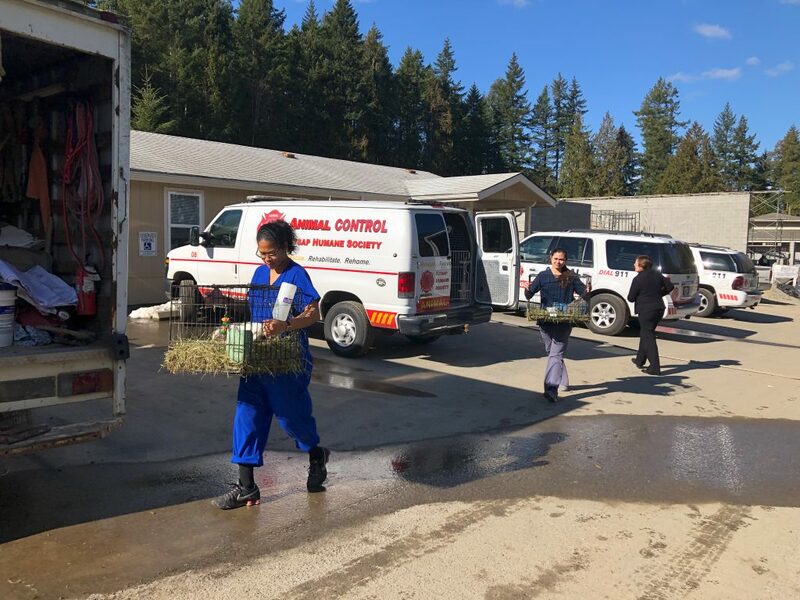 At the scene, they found an estimated 300 rabbits, some in cages and some roaming free, who were willingly surrendered to KHS by the homeowner. 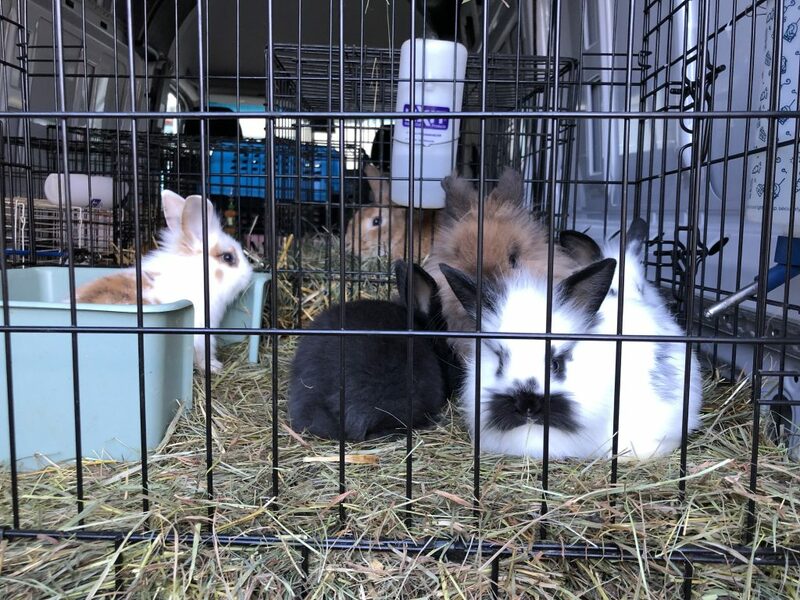 Officers said the owner started out providing care to rescued bunnies and was overwhelmed by their prolific breeding. 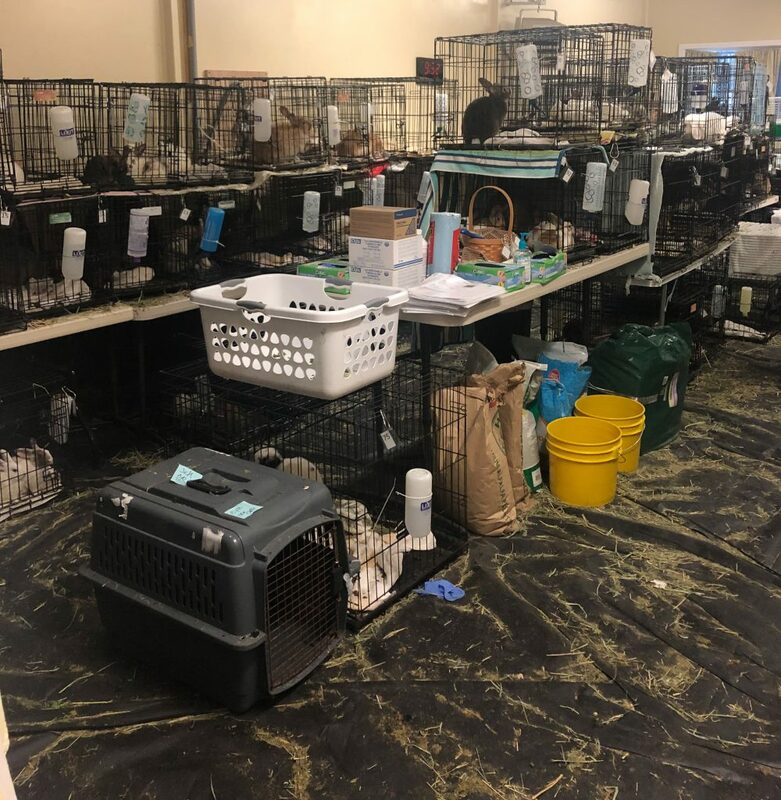 To accommodate the large number of pets — the most ever admitted to KHS from a single rescue case — the staff cleared out the Training Center for dogs, created a makeshift exam/admitting station and proceeded to fill the rest of the room with cages and kennels for rabbits. 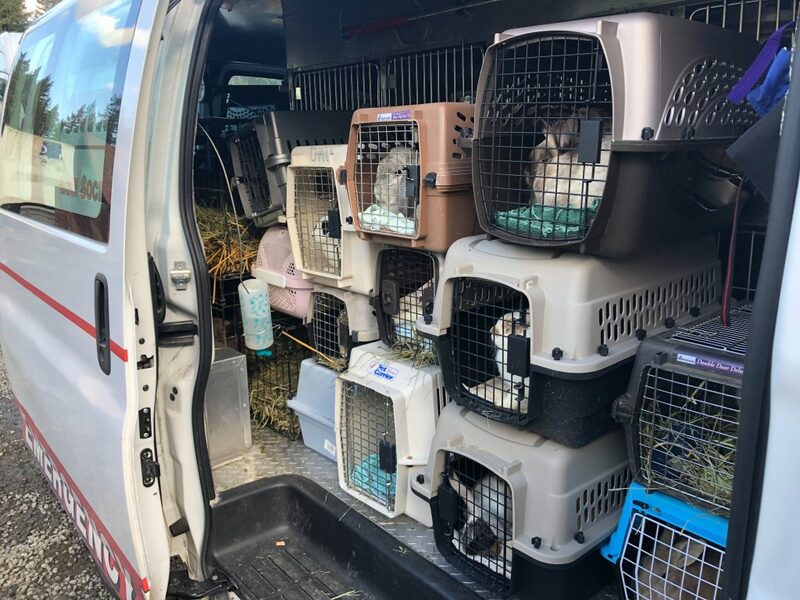 Because KHS doesn’t have enough room for all the bunnies at one time, the animals are being transported to the shelter daily in groups of about 25. 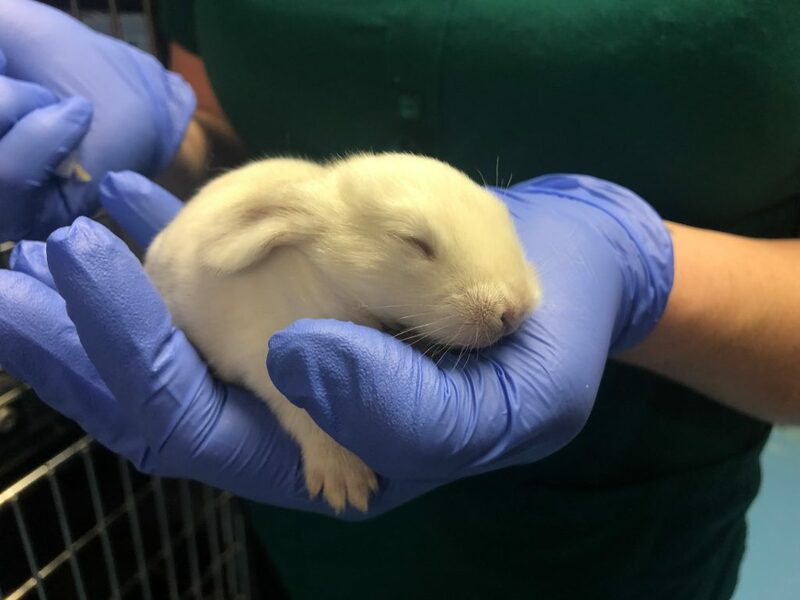 Adopters and foster parents are urgently needed: the sooner bunnies are adopted or placed in foster homes, the sooner the remaining bunnies can be brought to KHS for care. Rescue situations like this require extraordinary lifesaving efforts from our staff and volunteers, who are providing these precious animals with all the care, services and snuggles they deserve . 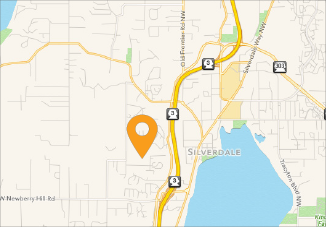 Please support our rescue efforts by giving now. Please come and adopt a bunny — or two! Our “Tons of Buns” promotion features special pricing: $15 for one bunny and $25 for two! Bunnies are social animals and they love company. Become a foster parent! We need foster families for our bunnies, to make room for more bunnies who still need our help. We are also in need of foster parents for dogs, if bunnies aren’t your thing. Learn more here. Become a volunteer! Now that the bunnies have taken over our dog Training Center, we need volunteers to help us with outings, games and other fun activities for dogs in our care. Learn more here.